Several new models in the 350 and 250 Series is available NOW. 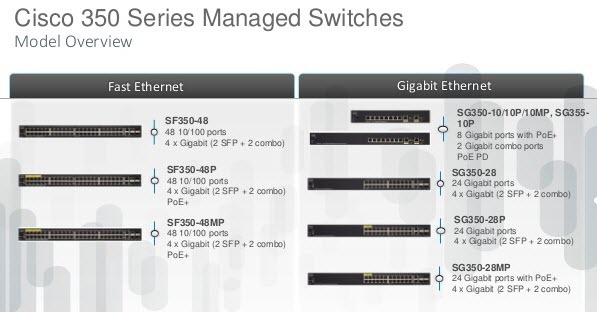 These new models provide even more Managed and Smart Switch options including MGig and 10 Gigabit Ethernet models. 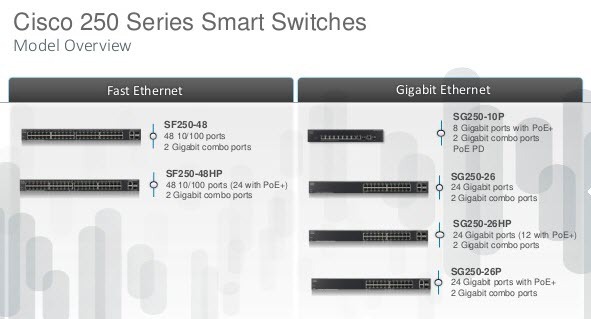 These new 350 Series models offer support for Multigigabit Ethernet technology. 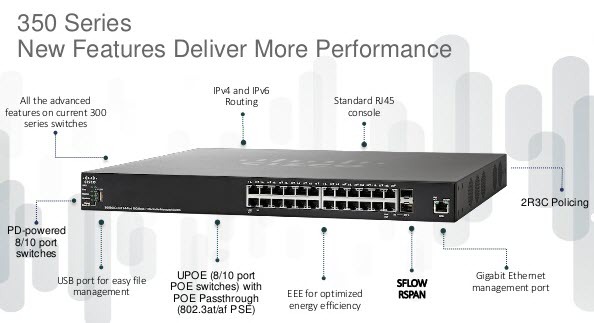 These powerful switches pave the way for 802.11ac Wave 2 and beyond by delivering blazing fast connectivity and provide PoE power using existing cabling. They also offer Layer 3 features, advanced security, and are energy-efficient. These switches provide the reliability and performance that demanding environments require. Both Fast Ethernet and Gigabit Ethernet models are available, and all products are backed with the industry’s best Limited Lifetime warranty with next-business-day advance replacement. 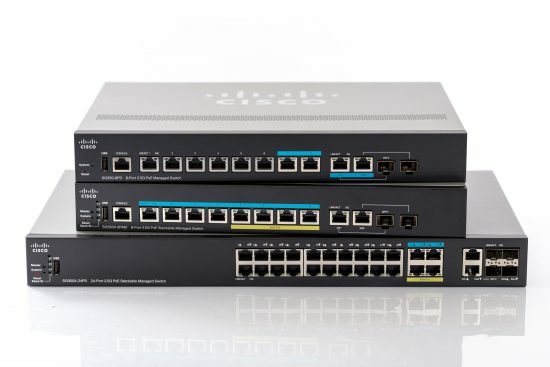 The Cisco 250 Series Smart Switches provide a reliable, easy-to-use business network at an affordable price. They offer essential Layer 2 features, important security features, basic Quality of Service (QoS), and much more. 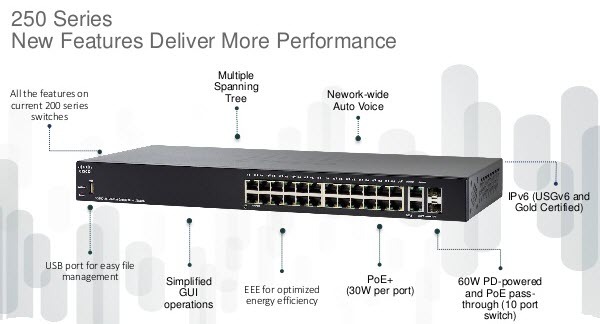 Both Fast Ethernet and Gigabit Ethernet models are available, and now with 10GE uplinks, these switches delivering even faster connectivity. And as always, all products are backed with the Industry’s best Limited Lifetime warranty. Like mentioned earlier, there are two parts of this solution. 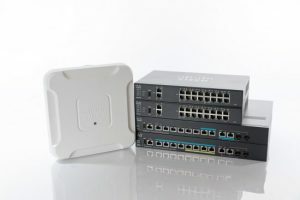 Pair the new 350 Series switches with our WAP581 High-Performance Wireless Access Point to deliver wired and wireless at Multigigabit speeds. 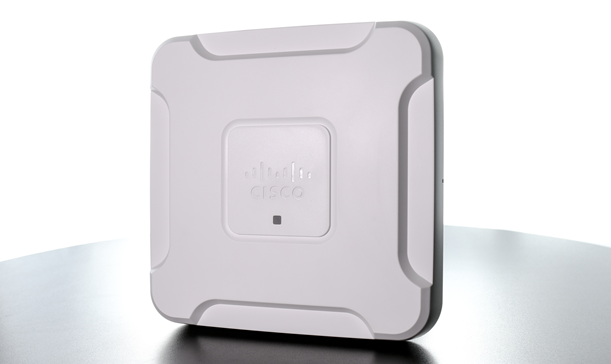 The WAP581 is a Wireless-AC, Dual Radio, Wave 2 Access Point with 2.5GbE LAN. It boosts wireless network speeds while offering investment protection for those who want to future-proof their network infrastructure.